Gerry McVeigh has expanded his film range to cover the whole island, but I think that his special fondness is for the beauties of Donegal. It's a county that appears to be full of hidden gems, and Gerry delights in revealing these to us. This is a very beautiful part of Donegal with 360 degree wonderful views of North West Donegal and beyond. The going underfoot for this walk was generally very good even after a week of heavy rain. There were a couple of very steep sections on the way back including a gully so a little extra care was needed. So if you're thinking of going around Lough Salt and up the mountain, check out Track 2224, and enjoy this very informative YouTube piece. Climbed Loughsalt mountain this afternoon following Vikinghar's route. It was a lovely afternoon for the climb with great visibility. The path to the top starting at the pumphouse gate C121 255 A makes for relatively easy going and was surprisingly dry considering the recent wet weather. What a wonderful 360 degree panorama at the top with views of Binevenagh running to Benbradagh , Sleive Snaght and the Urris Hills in Innishowen, Sawel and Dart in the Sperrins and Muckish to Errigel in NW Donegal. An added bonus is that this mountain is completely unspoiled with thankfully no sign of Mobile Phone towers or other structures which polute so many other mountains. 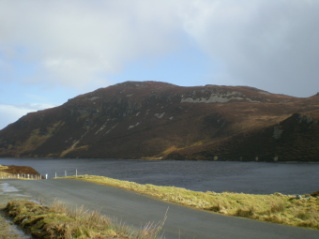 Loughsalt arguably provides an ideal introduction to hillwalking. The physical challenge is within the reach of those who possess just an average level of fitness. From base to summit and back should not take any who are in the aforementioned category more than a few hours, even at a most leisurely pace. And, of course, one's efforts are - weather permitting - rewarded with views of a fine quality not usually associated with a hill under 500m. My girlfriend and I took two of our friends with us to Loughsalt last Saturday. 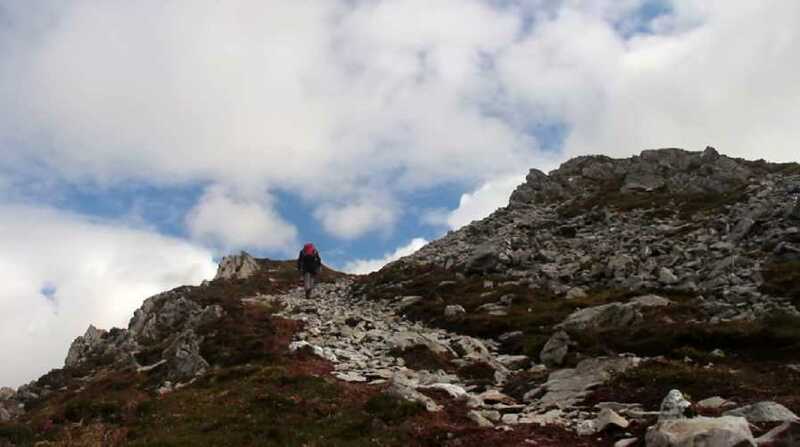 Our original intention was to take them up Errigal, but time did not permit.